For 20 years (1980-2000), Roger Lindeman, MD led Virginia Mason as Chairman and CEO. He helped Virginia Mason become the health care leader it is today, and his lasting legacy remains in many ways. From the Lindeman Pavilion to the Lindeman Procedure, his influence is felt throughout Virginia Mason. Dr. Lindeman passed away on October 30, 2018. In 1958, Dr. Lindeman married his childhood sweetheart, Lillian, in Michigan, and together they moved west to pursue his medical career. After completing his internship and residency, he spent two years at Valley Forge General Hospital, courtesy of the United States Army, where he served as chief of Otolaryngology and consultant to the surgeon general of the United States. Dr. Lindeman joined Virginia Mason in 1968, where he provided outstanding patient care and leadership for 32 years. Dr. Lindeman was named section head of Otolaryngology at Virginia Mason in 1973, chief of Surgery in 1976 and Chairman in 1980. During his later years as Chairman, he was considered by many to be the most influential and respected group practice leader in the United States. He also provided industry leadership at the regional and national levels, including serving as president of the American Group Practice Association and the American College of Physician Executives. 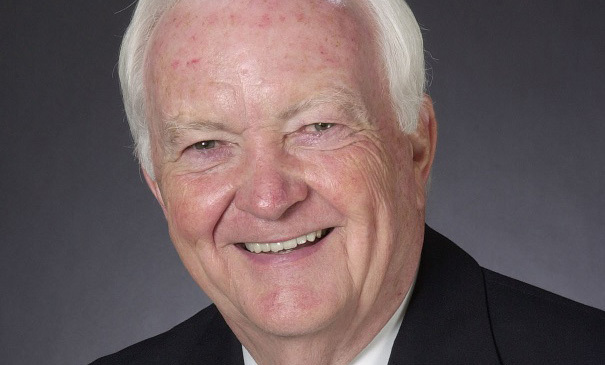 Dr. Lindeman was a dear friend, esteemed colleague and mentor to many over the years. He devoted much of his life and his career to Virginia Mason. Even after his retirement in 2000, Roger continued to work closely with the Virginia Mason Foundation and the Virginia Mason Board of Directors to help strengthen relationships with the community and donors, and to ensure a bright future for Virginia Mason and its patients. Although Dr. Lindeman is gone, he remains in the hearts and memories of those whose lives he touched.